Hello wonderful readers! I’m here at the BYU Conference on Family History & Genealogy. The conference began on Tuesday and it's already Thursday as I sit at my laptop writing this blog post. My days have been very full of classes, meet-ups with fellow genealogy bloggers, walking around the vendor hall, and more. Yesterday, I published a blog post about the myFamily History Youth Camp, which I visited on Tuesday. If you'd like to read that post, click HERE. 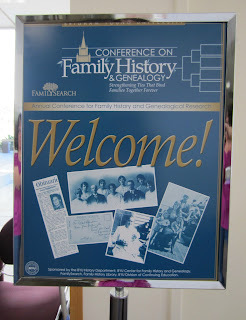 Today, I'd like to start my series of blog posts about my experiences here at the BYU Conference on Family History & Genealogy. It’s my first time attending this conference and I have to say that it’s fabulous. The conference is very well-run and organized. The theme for this year's conference is "Strengthening Ties That Bind Families Together Forever." As I walked through the front doors of the BYU Conference Center, very helpful and friendly staff members were sitting behind the front desk ready to register and assist conference attendees. Several times during the conference I've been back to ask questions, one of which was how many attendees are here at this year's conference. I was told that 750 people registered. That's not including the 62 youth that are attending the myFamily History Youth Camp. To give you a sense of what the conference looks like, here are some photos. Here's a display that sits right across from the main desk. The main hallway is lined with vendors. This is Janet Hovorka, Development Director of Family Chart Masters. She's also the author of the Zap The Grandma Gap books and workbooks. I was thrilled to finally meet her in person as we've been online friends for some time now. The class offerings at this conference are amazing! I can't list all of the classes here on my blog. The list would be too long. But here is a list of the conference tracks. Isn't this an impressive list? The classes I've attended so far have been wonderful and very informative and were taught by high-caliber instructors. I'm so glad that I came to the BYU Conference on Family History & Genealogy. I've had a great time! I highly recommend this conference to everyone. I'll be sharing more about the conference in future posts. This coming Monday I'll be flying to Utah to attend the BYU Conference on Family History & Genealogy. 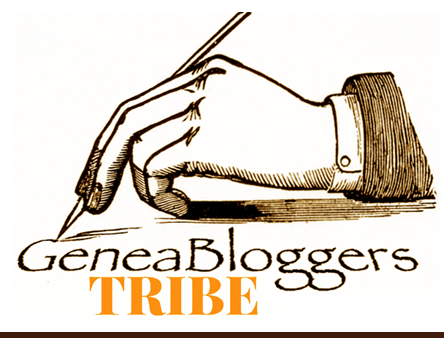 As I already mentioned here on my blog, I was invited to be an official conference blogger. Am I excited? Oh ya! I've never been to a major genealogy conference before. So this will be a new and very cool experience for me. After doing a bit of research about what to bring to major genealogy conferences, I followed the advice of others and bought a rolling backpack to bring to the conference. I also had some contact cards (business cards) printed to bring along with me. I'll be away from home for about a week. Yes, I will miss my husband and youngest son who aren't accompanying me on this trip. But, I will be able to spend some time with other family members there in Utah. So, that will be fun. Speaking of my youngest son, he just recently returned from serving a two-year full-time mission for The Church of Jesus Christ of Latter-day Saints. I shared photos of our happy reunion with him on my personal blog Jana's Place. We had a surprise waiting for him at the airport. To find out what that was, you can read about it by clicking HERE. I'll be blogging about my experiences at the BYU Conference on Family History & Genealogy next week, so I hope you'll follow along here on my blog. On May 16, 2015 I taught a class at our local Family Discovery Day. My class was called "Family History Blogs and Social Media." I covered a variety of social media tools that are helpful for genealogy research including Facebook groups and pages. I have found that genealogy Facebook groups have been very helpful for my own research. Today, I'd like to tell you about one of the many Facebook genealogy groups that I belong to. It's called Scandinavian Genealogical Research Center Professional Research Group. "Purpose of this group is to provide a forum for links, tips and tricks that can be helpful or of interest for anyone interested in Scandinavian (mainly Danish and Swedish) Genealogy and research." Who doesn't like tips and tricks to help with genealogy research, right? 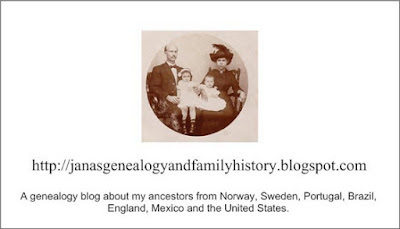 So, if you have Scandinavian ancestry, please check out the Scandinavian Genealogical Research Center Professional Research Group on Facebook by clicking HERE. And, if you'd like to download a PDF copy of my "Family History Blogs and Social Media" class syllabus, head on over to my website at janalast.weebly.com. Just hover your cursor over the Family History tab to see the drop-down menu. Then click on "My Presentations" and there you'll find the PDF file of my syllabus. A Note to my wonderful readers: Fab Finds will be on hiatus for the next three weeks. My schedule is full of exciting events in the coming weeks. Our youngest son will be returning home from serving a two-year mission for The Church of Jesus Christ of Latter-day Saints. He has been serving in Arizona and is coming home next Friday! Yay! We are so excited! We also will be having family in town for about a week, which will be so fun. 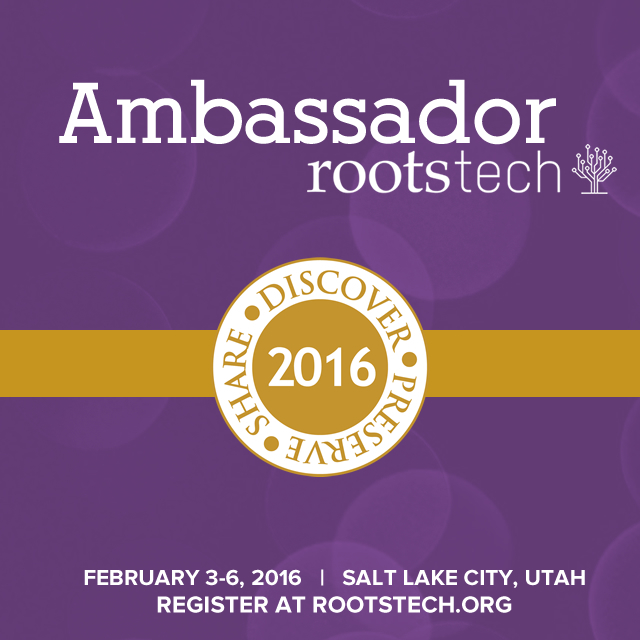 And I will be attending the BYU Conference on Family History & Genealogy as an official conference blogger. The conference will be held July 28-31. Fab Finds will return on August 7, 2015. Thank you! Tuesday's Tip: The Wonders of Voter Registration Books by Wendy Mathias, author of Jollett Etc. 4 Tips to Identify Unknown Family Photographs by Lisa Lisson, author of Are You My Cousin? Have you heard about the myFamily History Youth Camp? 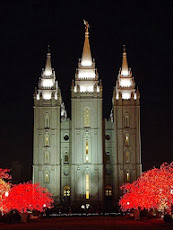 As my regular readers may already know, I've been asked to be an official conference blogger for the BYU Conference on Family History & Genealogy which begins on July 28, 2015, only three weeks from today. I'm really excited about this opportunity. There's going to be another family history conference going on at the same time as the BYU Conference on Family History & Genealogy. And it will also be held on the BYU campus. This other family history conference is for youth ages 14-18 and is called the myFamily History Youth Camp. How fun that the youth get to have their own family history conference! I think this is a fabulous idea. From what I understand, this is the first year this camp will take place. 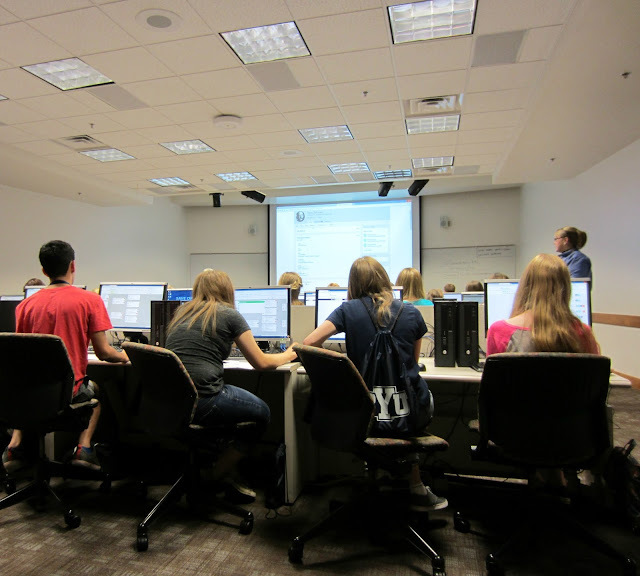 "This is a four-day camp where youth ages 14-18 can come to BYU and be taught the fundamentals of family history research, gain hands-on experience, and acquire an understanding of the importance of this work. We hope this camp will prepare all participants to be independently motivated to continue working on their own family history and to inspire and assist those around them with their family history." This camp will include lots of fun activities like labs and workshops, a dance, devotionals, games, and even a trip to the Family History Library in Salt Lake City. To see the camp's full schedule, click HERE. And to learn more about this camp, including registration, etc., please visit their website by clicking HERE. The Program Coordinator for the myFamily History Youth Camp contacted me via email and asked if I would be willing to visit the camp sometime during the week and then write about it on my blog. Of course, I said yes. And I've already scheduled the time that I'll be visiting their camp. I hope you'll follow along with me as I write about my experiences at both the BYU Conference on Family History & Genealogy and my visit to the myFamily History Youth Camp. A very Happy Independence Day to all of my wonderful readers! 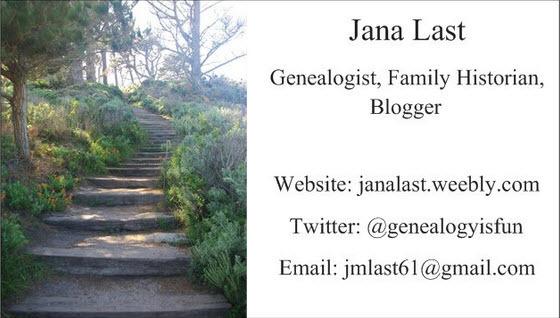 Make Your Genealogy Blog Photos Stand Out On Pinterest! by Lisa Lisson, author of Are You My Cousin? Why Are My Ancestors Hiding From Me?